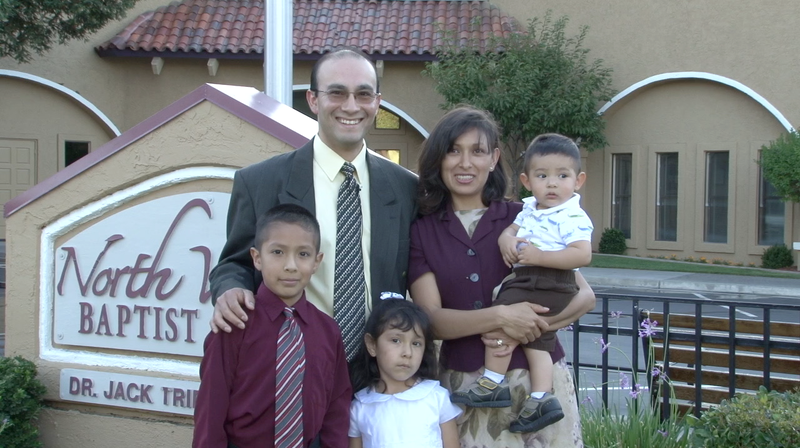 In 2003, we lived on Latham Street in Mountain View, California. 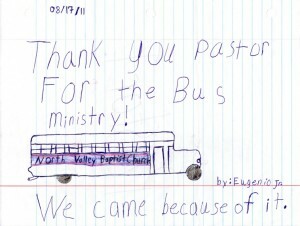 Two ladies came by our apartment one day and invited my wife and 2-year-old son to ride the bus to North Valley Baptist Church. That was November, and at that time I was working two jobs with no days off. In December, however, I got a Sunday off, and my wife asked me to ride the bus with her. It was such an exciting place! They gave us pizza and some Christmas presents, but that was not the best of it. The most incredible part was the preaching and singing in the Spanish church. I fell in love with it! Two weeks later, we both received Christ as our personal Savior and were baptized by Bro. Bordell. My life completely changed! Up to that point, I was content to work and spend a little free time with my wife and friends. Salvation gave me something much greater to live for! The Lord has blessed our lives in unbelievable ways since we received Him. We now have three children, ages 8, 5, and 1. We LOVE knocking on doors for Christ! I have been privileged to lead singing in Sunday school and to preach in three different churches. 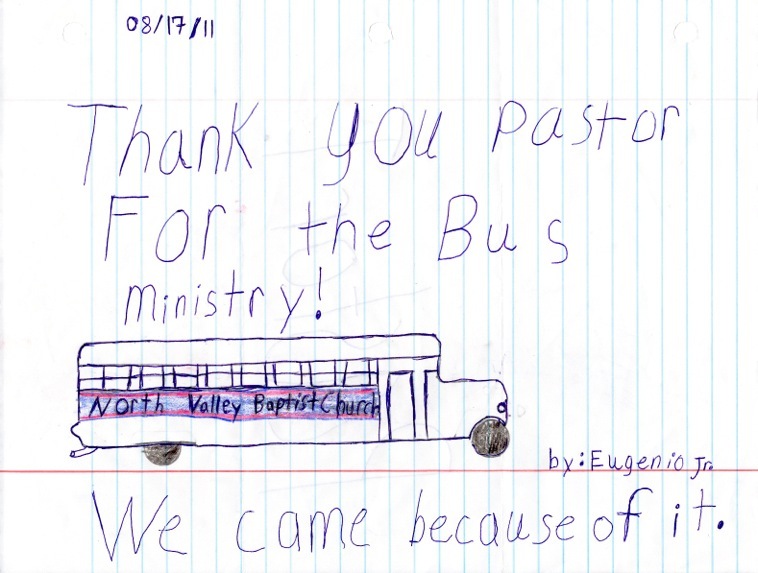 We are so thankful for Dr. Trieber, North Valley Baptist Church, and the especially the bus ministry. Without it, I have no idea where our lives would be.